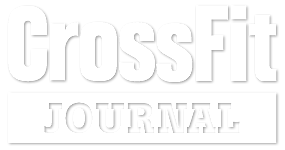 We know finding a new CrossFit box is an incredibly personal decision. Our community is our family and we know you’re looking for that same connection. Relationships and connections are a huge part of what makes for a successful fitness program and we know CrossFit Incendia has the best community around! Plus, our programming is fun and smartly designed. You’re going to get better with each workout. We’re excited to talk with you about joining the CrossFit Incendia family. We have some of the most experienced coaches anywhere, so whether your goal is to train at competition level or to find your best self we have the right stuff to help you get there. Try CrossFit Incendia for FREE! We invite you to come on in for your free intro session and see why you’re going to love transforming yourself at Max Effort. See our facility, meet our members, chat with our coaches, and find out for yourself what a real fitness family is all about. We always make a point to visit incendia when we come in town. Great group of owners and coaches and the box looks great! Thanks for always making us feel welcome! Amazing community and a great group of coaches. Many people think CrossFit is only for sledgehammer swinging, bicep bulging fitness freaks but that is not what you'll find here.People of all ages and ability levels are able to participate and improve their overall health and fitness! If you are looking to make a change in your life, to finally take control of your weight, health, fitness, or anything else that motivates you then I highly recommend you try out a few intro sessions at CrossFit Incendia. Highly recommended! I have been a member since CrossFit Incendia opened its doors in November 2012. I have never been challenged in such a way that improved both my mental and physical abilities, all the while having fun doing it. The coaching staff are incredible teachers and motivators and there is a real community among members. Great facility, welcoming owners and staff, good programming and coaching. We're dropping in from Seattle and have had a chance to attend a couple of classes. Lisa and Brian, the owners, obviously care a great deal about making the CrossFit experience for the members and guests as good as possible. And, in case you have kids, they have a play area to keep them entertained while you workout. Highly recommended! All I have to say is my life has been forever changed because of my coaches at Incendia. Not only am I getting healthier physically, but the coaches and members feed my soul with encouraging, uplifting, positives vibes and always feel 150% better walking out of there. They are the best of the best. They have every single member interest and safety at heart. I've made life long best friends from working out at Incendia! They constantly offer seminars to us to make us better with some of the best athletes in CrossFit. Love my gym and PROUD to be apart of it!! Brian and Lisa bend over backwards to accommodate for their members. They treat each member of incendia as if it was their own family member. It's my home away from home. I'm always so happy when I get to workout there. Now, how often can you say that about a GYM!? I'm very new to CrossFit and decided to check this place out because of all the pictures I saw on Facebook. This gym exceeds your expectations on all levels...it's an upscale CrossFit gym, friendly staff, and has awesome trainers. The staff and members make you feel welcomed and motivate you when you want to quit. I could see why people get hooked to this place after trying out the FREE class. I walked into Incendia in September 2013 and I am so glad I did! I love my fellow Incendians, the coaches totally rock, and Brian & Lisa are the BEST!!! They are constantly looking out for the needs of us members and truly treat us like family! I will never set foot in a "regular gym" again! Joining Incendia is one of the best personal decisions I have ever made!! My goal was to better reflect the amount of training I do by losing body fat and increasing strength. I've tried many different diet plans but I couldn't sustain any of them. I train really hard and I thought that all I needed in a diet plan was good science but I was missing something really big. Because my coach invested in the mental and emotionally components of my eating, I succeeded where I used to fail. My Coach has been an incredible help through the entire process, she was even able to help me through a week long work trip to The Netherlands where their eating habits our way different than ours (bonus - I learned how to calculate my Protein, Carbs, and Fat in Dutch). Awesome place full of friendly people. It's a huge difference when the people are friendly instead of only the coaches. Great box! Loved it. Great community, great training, great workouts. Great coaching staff. Well equipped gym. Large variety of classes and times. I loved this place the moment I came in, it’s a very friendly environment and can cause a big change in your overall health. Very friendly employees. Best Crossfit studio there is! Fantastic coaches, fabulous people, amazing workouts! If you want a challenging WOD, to get fit and healthy and make some new friends, Incendia is the place for you!